Armonk Indoor's playing programs are designed for tennis players of all levels, offering both recreational and competitive play. Learn about them below, or contact us at info@armonkindoor.com for more information. Days/Times: Click here for more info. Cost: Click here for more info. Registration: Contact us at least 48 hours in advance to sign up for a drop-in class. Our women's in-house singles league is for 4.0+ level players. This doubles travel team is for levels 3.5-5.5, so it is very competitive. Six positions (three home and three away) play each week. For rated players, Armonk Indoor offers USTA team play for levels 3.0-4.5, including women's tri-level doubles. If you would like to captain or play on a team, please contact us at 914.273.8522 or info@armonkindoor.com. 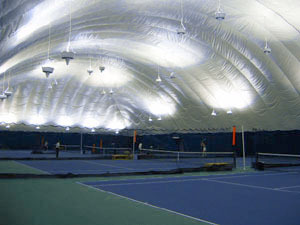 Armonk Indoor offers reserved court time for the entire season. Each week you'll have court access for your reserved day and time. Click here to learn more about seasonal courts.